The rock Islands in Palau are just one of the many reason you should come to Palau. 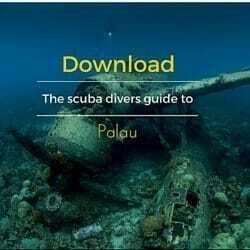 Palau has over the years become one of the most popular dive destinations in the world, and there is an excellent reason for it: world-renowned dive spots like the Blue Corner and the German Channel make it a must-go destination for any diving addict. The reefs are teeming with life, and you have a good chance of crossing some of the most amazing marine creatures off your bucket list. But there’s a lot more to Palau, and some places are so hidden that most tourists (and hardly even the people who live here) ever get to see them. These sites can be found in Palau’s amazing Rock Islands. 1. The Rock Islands are situated in Palau’s Southern Lagoon and lie between Koror and Peleliu. Some sources state that there is a total of 300 islands, while others count as little as 250. The main island is called Urukthapel and stretches over a total surface of 47 km². Not one of these many islands is permanently inhabited. There are also some smaller island groups in the southwest and south of the archipelago, such as the Seventy Islands in the west of the Mecherchar Islands, Ngemelis Islands, south of the Seventy Islands and the Ngeroi Islands in the south, close to Peleliu. There are so many small islands that they cannot even be counted to one of the main island groups. In total, all islands cover a total surface of 70km2. But also Ngermeaus Island and the famed Jellyfish Lake with its species of stingless jellyfish that can only be found in Palau. The Islands are made up of limestone islands of volcanic origin with an average height is 207 meters. Many of them are famous for their incredible mushroom shape. There are 52 marine lakes on these islands, with one of them being the incomparable Jellyfish Lake. In the world, there are 1031 heritage sites, of these 802 are cultural sites, and 197 are natural sites such as the Great Barrier Reef. In addition to these, there are only 32 considered valuable for both natural and cultural reasons and the Rock Islands in Palau are one of the 32 and the only one in the South Pacific islands. . The Rock Islands meet the following five 5 out of 10 criteria. 1. To bear a unique or at least exceptional testimony to a cultural tradition or to a civilization which is living or which has disappeared. 2. To be an outstanding example of a traditional human settlement, land-use, or sea-use which is representative of a culture (or cultures), or human interaction with the environment especially when it has become vulnerable under the impact of irreversible change. 3. To contain superlative natural phenomena or areas of exceptional natural beauty and aesthetic importance. 4. To be outstanding examples representing significant on-going ecological and biological processes in the evolution and development of terrestrial, freshwater, coastal and marine ecosystems and communities of plants and animals. 5. To contain the most important and significant natural habitats for in-situ conservation of biological diversity, including those containing threatened species of outstanding universal value for science or conservation. When you pass the different islands, it is evident to see why the UNESCO declared the lush Rock Islands as a World Heritage Site. You see “mushroom” shaped islands where millions of years of wave action have eroded some of the lower portions of the limestone that form these islands. On some Islands, hiking trails will bring you to caves with 4000-year-old drawings on the walls, a testimony of an ancient civilization. A large part of nature here is untouched by humans, and you can find hidden lakes, hard to get to shallow water areas and well-secluded mangrove forests which serve as nurseries for many fish and other species of marine life. You might even encounter the endangered and elusive dugong here. They are true places of sanctuary. Evidence shows that these sheltered areas are part of the reason why Palau’s reefs are so healthy and full of life: young fish can grow in safety, marine life can gather undisturbed to reproduce, and corals flourish. The Rock Islands are not islands such as Babeldaob, which were created by volcanic action. The Rock Islands are coral reefs that grew on an underwater mountain ridge. At the time the reefs were building, the water level was about 250 meters higher than it is now. When the water level dropped the islands emerged. How can this vegetation cling onto bare rock, you might ask yourself? Well, the plant life grows from the humus of early plants. Limestone forests are rare and the ones on the Rock Islands are unique and even include two species of palms found nowhere else except these islands. Are you ready to explore the rock Islands in Palau? If you want to experience something very much out of the ordinary, make sure to book a day tour to some of the more accessible beaches of these islands, or book a relaxed guided kayak tour, where you can observe these Islands from a whole new perspective and get to see things very few people see. Maybe you would like to spend more time learning about Peleliu and the action of Operation Stalemate II during the Second World War? There is so much you can do and explore when visiting Palau and the Rock Islands, do not cut yourself short by having to catch a flight with only one day to spare to explore and experience this fantastic destination further (and above water). If there is one thing that people who came to Palau to dive with us regret, it is that they left too soon. Take it from us, if your personal time and flight schedule allow an extra couple of days, make sure to take them! If you see something while you are spending your time diving with us, that you think you would like to explore, let us know. We can give you the additional information that you may need and can help arrange any activity on the Rock Islands or Koror and Babeldaob that you might want to do.